Last week the Kings of Leon released their seventh album, Walls. It’s their first since Mechanical Bull, which came out in 2013 and to be completely honest, kind of popped and fizzled, even though it definitely had some quality rock songs on it. Reading the tea leaves, it looked like the Kings were closer to being on their way out than they were staying relevant. This was kind of bummer. As a fan, I wanted the band to keep on trucking, keep on evolving from a southern version of the Strokes to a southern version of U2. I’m also a fan of rock ‘n roll and rock bands, definitely mainstream rock bands, capable of headlining big sheds and big festivals, were rapidly becoming extinct. If not Kings of Leon, then who? Hopefully that question can be shelved for the time being at least because based on what I’ve heard of Walls so far, it might be the comeback album the band needed. I have to wonder though, is it too late? Has the moment passed them? Can you randomly poll the next five people you see and determine if Kings of Leon matter anymore? But hold on, can you conduct a similar poll to find out if any rock bands matter anymore? 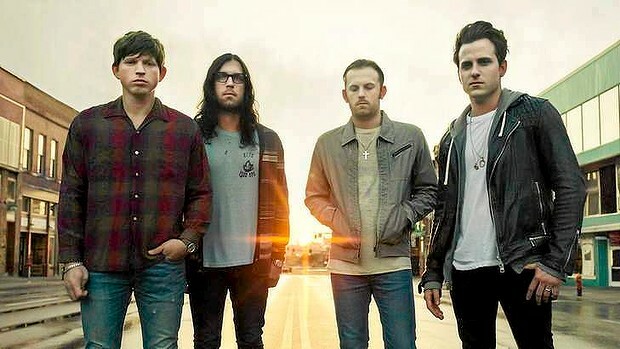 The success of the Kings of Leon is as much about the success of rock ‘n roll and given the current landscape of the genre, the two are delicately intertwined. I would say the same for the Strokes and the Killers. It’s a sad glimpse into the state of rock music where three bands that all came out in the early 2000’s are still considered a recent wave of rock bands. It’s also an accurate glimpse, though. Not counting Pearl Jam or the Foo Fighters, the Red Chili Peppers or U2, the Kings, the Strokes and the Killers are still considered a new wave of rock headliners. They’re not necessarily considered new, but not old either, even though they’ve been in our lives for over a decade now. No one has really come to steal that mantle from them, which could attribute some to their lingering status as “new” or “new-ish.” Because of this precarious position, it makes their moves all that more important when it comes to the future of rock music existing in the mainstream and being part of the zeitgeist. Rock music is in a tough spot, especially new rock music. For the most part, music is dominated by females right now and even the role of Rock Star has been snagged by rappers. Hip Hop acts are festival headliners. So are DJs and if rock music is represented, it’s mostly acts who are on the back side of their career (see: Jam, Pearl or Chili Peppers, Red Hot.) I don’t consider a band like My Morning Jacket to be a traditional rock band. Same goes for Death Cab for Cutie. The Black Keys are a rock band but who knows if they’ll ever be back. Odds aren’t especially good. At the same time, there really hasn’t been a rock band to come out in the past couple years that has been able to stick and make that leap. I’d be hard-pressed to even name one. I think Royal Blood is amazing, but do you know who Royal Blood is? Do we consider the 1975 a rock band? Cage the Elephant might be, but they’re still on the come-up as far as I’m concerned. They’re certainly not on a list of rock bands who could sell out the arena in your town. Until another band or bands come around, rock music needs the Kings of Leon and needs them to succeed. It’s kind of like building a successful baseball team. You need a mix of veterans, players in their prime and promising young talent. That way you can ensure (or at least hope to ensure) success for the foreseeable future. The Phillies of the late 00’s were doomed because they got too top heavy and when the ship started to capsize, they didn’t have the young talent to prevent that from happening. The Red Sox however, they look like they’re in the exact opposite position. They have their proven vets, they have players either in their prime or entering their prime and they have numerous players looking promising in the minors or in their rookie leagues. Rock music needs to be less like the Phillies and more like the Red Sox. Rock has their vets and has the potential in the minors, but rock needs to make sure they have their players in their prime to serve as a bridge between eras. The Kings of Leon, along with the Strokes and the Killers, need to be that bridge.